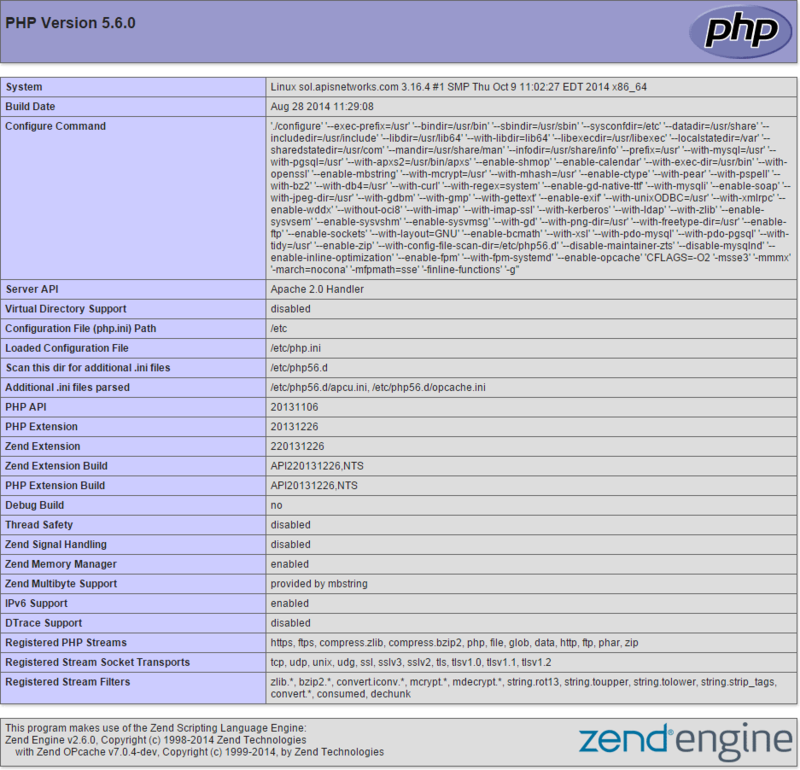 Default PHP settings may be viewed either as a standalone page or within an application using phpinfo() or ini_get(). Access the URL phpinfo.php from your web browser, e.g. http://example.com/phpinfo.php if your domain were example.com, to view the settings. 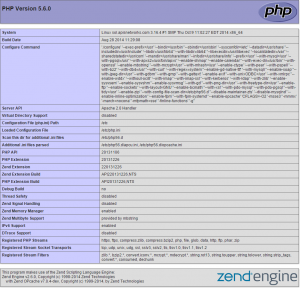 Explanation: In the above example, 2 methods of accessing PHP settings are used: ini_get() to get a specific single value (memory_limit in this case – note this can’t be changed except by support ticket in the control panel) and phpinfo() once again to dump the entire PHP environment. These scriptlets are inserted at the end of the file after the closing PHP delimiter, ?>. This entry was posted in PHP and tagged php, settings.